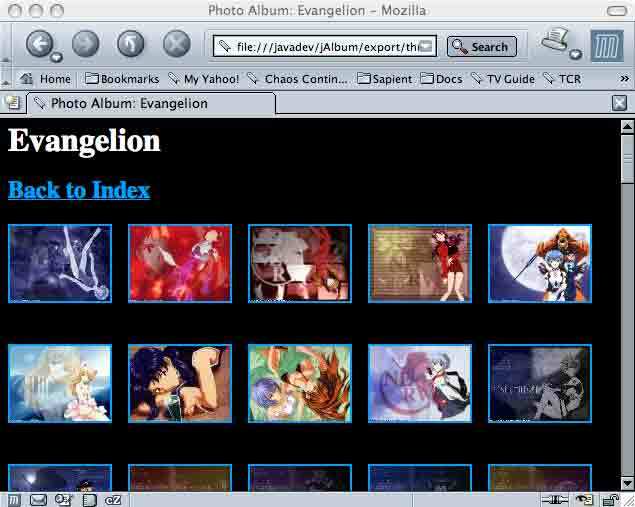 jAlbum is a program for generating HTML photo albums from a list of files. The eventual goal is to be able to select iPhoto albums and then export them to a variety of photo album templates. jAlbum is released under the GNU General Public License, version 2. You can now specify it to lowercase all the files names on output. A bit of cleanup, but big feature was to added the ability to use external album templates. I've used Cocoa-Java to add in iPhoto integration. Often I think to myself, damn I'm good . 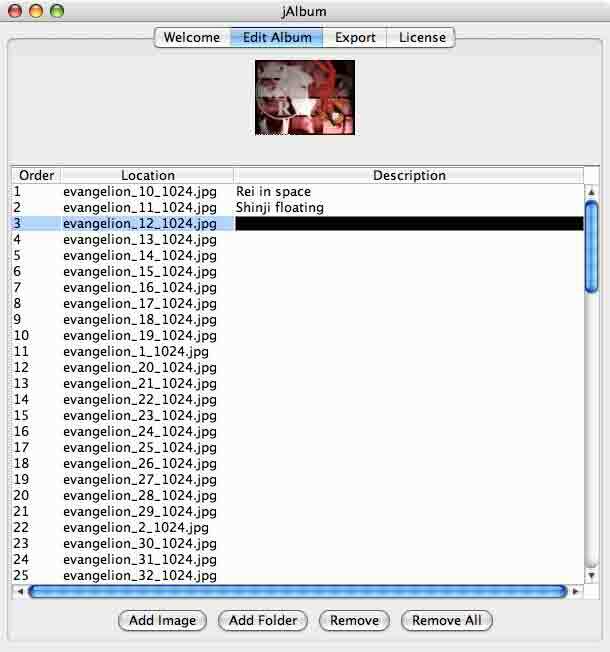 This first iteration allows for the adding of files into the wizard, giving each file a description (if desired) and exporting them to the standard album format.